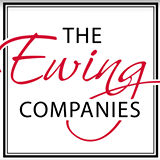 All four members of the Ewing family work for our business. However, the mention of family extends beyond those that are related by blood. Sara, our designer, has become part of the family since joining our team in 2015. She is fun and easy to be around, the kind of person you’d enjoy sharing an office with. 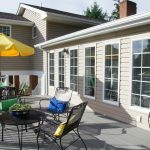 She is also gifted when it comes to understanding the unique needs of each client and translating those needs into a well-functioning and beautiful space. We first met Sara when she worked for her family’s company, G&H Appliance. She maintained that summer job while attending Virginia Tech (VT). Her choice of Virginia Tech was a clear one. She had attended summer camps at VT while in high school and quickly fell in love. Although she toured other colleges, nothing compared. She knew she wanted to be a Hokie she wasn’t as clear about the perfect plan of study. Her initial major was Biology, but it didn’t take long to realize it wasn’t the right fit. 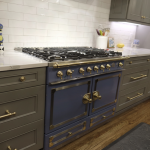 It was while working at G&H appliance that a happenstance conversation with a customer encouraged her to check out the Residential Environments and Design major. This suggestion ultimately resulted in Sara switching to the degree program and discovering her gift of design. Sara explains the big picture takeaway of her education was, “behavioral and cultural needs drive space planning.” She now uses her understanding of these drivers each and every day as a member of our company. Other key aspects of this design program included learning universal design, space planning, and aging in place principles. For one project she was required to design a Moroccan kitchen. 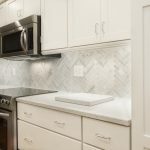 This project was a fun challenge because a culturally accurate Moroccan kitchen uses different appliances and has unique design elements, all of which had to be considered and incorporated into the design. In addition to learning about how behavior and culture must largely dictate the design of spaces, Sara also learned practical skills such as space planning and drawing techniques, both digital and with pen and paper. She was trained on the same computer design program that we use, which enabled a smooth transition from college to work with our company. She was required to draw and plan a number of projects including bathrooms, residential construction, kitchens and decks. She also had to consider supporting systems like plumbing, environmental considerations and project management. Since we regularly interacted with Sara in her role with G&H appliance we were excited to bring her on as an intern, which was a requirement of her degree program. She did such an excellent job as an intern we knew we needed to keep her around. Her love for design is contagious and her organization is excellent. 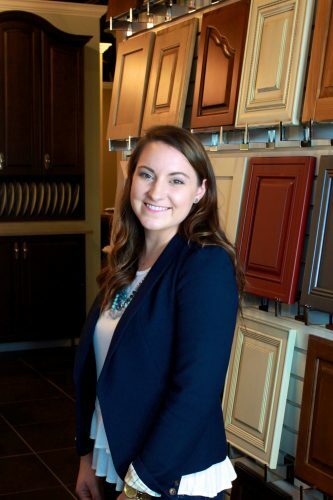 She now partners with our clients on design, building, and custom cabinetry projects. Sara works closely with Paul, often accompanying him on job sites to meet with our clients and establish their vision for a project. Sara then uses our clients’ vision as her inspiration for the design and configuration recommendations she makes. 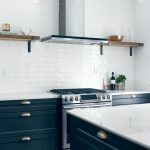 Once a project is initiated she also helps coordinate selections for projects, to guide clients to ensure they know both the specifications for the selections that need to be made (the size of their sink, for example) but also the style that will support the design plan aesthetically (the finish of the cabinet hardware, for example). We are thrilled to have Sara on our team and thankful for the expertise and enthusiasm she contributes each and every day.